2-Desktop v Laptop. Which is best for you? 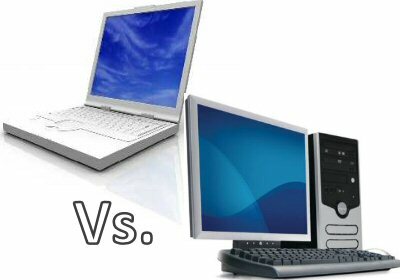 Understand the main differences between laptop and desktop computers. Look at the necessary considerations when buying a laptop. Consider the advantages of different machines in different situations. First of all read this extract from a workbook about the features of desktop and laptop PCs. Your teacher will also show you this YouTube video from The Gadget Show where they go through the different types of devices commonly used by students (desktop, laptop, tablets, tablet/laptop hybrids). Carry out a quick survey in class. Do people prefer laptops, desktops, tablets or hybrid devices? Explain your preference. Are desktop computers cheaper and more powerful than modern laptops? Are there any advantages to desktops over laptops? With the rise of tablets, is there a place still for laptops? Fill in this worksheet it has 20 different statements about desktop and laptop machines. You have to decide whether each statement relates to a desktop or laptop and whether it is a good thing or a bad thing. Once you have finished, print out your worksheet and put it into your folder. Fill in this worksheet – in the first section you must decide from the list of devices whether they are an input device, an output device or a storage device. In the second section you should write a brief description of what that type of portable computer does. In the third section for each person suggest a type of computer (laptop, tablet, netbook, PDA, desktop) and give a reason why. Once you have finished, print out your worksheet and put it into your folder. Computer manufacturers often bamboozle people with jargon. 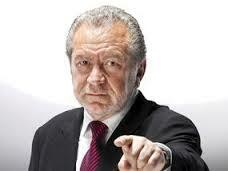 Go on the Internet and find a few examples of laptop and desktop PCs. What are the common items that are listed? Do you know what everything means? Fill in this worksheet – for each person write down the features (listed at the top of the page) that would be most important for that person. Once you have finished, print out your worksheet and put it into your folder. Digital devices are used in most households for leisure activities such as playing games, listening to music, watching films and socialising online. Lots of people use their computer or laptop for playing games and listening to music, but millions chose to buy dedicated games consoles and media players such as iPods. As more people in a household have devices that connect to the Internet, more people are setting up home networks to share the Internet connection to the ISP. There are lots of services provided on the Internet, from downloading games, music and programs to playing online games and streaming video and sound. As more people are accessing online media, there are concerns about illegal downloading and sharing, which breaches copyright laws. There is also concern about online safety and cyber crime. Have a read through of the following pages from a textbook (click here). From what you have read, what devices could Jamie use to watch films, listen to music and play games on? Open this PowerPoint file by clicking here. Using the textbook and the Internet, find a definition for each word – also feel free to use images and make the presentation look good. Once you have completed all the slides, there is a final slide which has the specifications for three different laptops. Fill in the table below with the number of the laptop that has the highest specification for each criteria. When you print your presentation, make sure you print 2 slides per page – don’t waste paper.